Property management regulations are a key concern for property managers in all regions and industries. Failing to meet property management regulations can result in fines, dissolution of a business, and other federal sanctions that cripple a property manager’s ability to do business. In fact, news of a regulation violation can drive away potential renters and reduce rent values. The question is: “How can you meet property management regulations to avoid violations and negative press?” The problem is that most property management laws vary from state to state—most searches of “Federal property management regulations” lead to the Federal Management Regulation (FMR), a series of guidelines for federal agencies to follow regarding the management of property. The most important piece of advice that you should follow is to talk to an attorney regarding your managed properties. Federal regulations regarding property management law are prone to change over time. Measures that worked a few years ago might not be satisfactory to prevent federal sanctions today. Attorneys specializing in property management law are likely to be better informed of the latest developments in federal property management regulations. So, they should be well-equipped to provide the appropriate advice for how you can bring your property management efforts in line with federal regulations to prevent issues. They can also help you review local rules and regulations that affect your property management business. A lack of maintenance can be a critical problem for a managed property. When maintenance issues go unchecked, they can be exacerbated beyond any reasonable measure of safety. This can also lead to state and federal investigations into the management of the property, and sanctions against the property management company. Rather than allowing maintenance issues to slide by with just the bare minimum needed to make the issue go away temporarily, it can help to aim for above-average property maintenance. For example, if a pipe is cracked, don’t just have it patched with a temporary seal that will last for a few months—consider having the whole damaged section of pipe replaced with something that will last for years and prevent contaminants from entering the property’s water system. Using preventative solutions that keep your managed properties safer and free of issues is much more likely to pass muster with state and federal regulatory agencies than bare-minimum fixes. Also, applying preventative maintenance is frequently less costly in the long run than having to repeatedly apply emergency repairs. Additionally, it’s important to use a licensed maintenance technician whenever required by local regulations. For example, many states require that electricians have a special license and complete an internship before they can perform electrical repairs and upgrades to a property. Failure to use licensed techs can result in fines and damage to the property. Every rental bill, every maintenance expense, every notification call, every emergency services dispatch to a property—every interaction that you have as a property manager with the property or the current renters should be thoroughly documented with date and time stamps for easy reference. Simply having these records can be important in case of a dispute later. For example, if there is an allegation that maintenance was ignored, you can show records of the maintenance work performed on the property to demonstrate that all appropriate measures were taken. It helps if you can record the specific maintenance activities that took place as well as what materials were used. Surprising renters with inspections isn’t just rude—it’s illegal in many states. Failing to provide advanced warning of an upcoming inspection can be considered a privacy rights violation in some situations—which can lead to federal sanctions and personal lawsuits. To avoid this issue, it’s best to communicate regularly with renters to let them know several days or even a week in advance that an inspection is scheduled, which areas of the property are going to be inspected, and what issues the inspection is meant to check for. Try to send these communications via multiple channels whenever possible—phone call, text message, email, social media post to a renters-only board, etc. This way, you can be sure that at least one of the communication methods will reach the renter. Sending reminders about rent due dates helps to ensure that rental payments aren’t late, and event notices can be a way to help renters be part of the community. Can a Property Maintenance Solution Help Fulfill Regulatory Burdens? A property maintenance solution such as Homee On Demand can help property managers with some of their regulatory burdens—particularly those related to maintaining properties in good or safe condition. Supplying Instant Access to Thousands of Vetted, Licensed, and Background-Checked Maintenance Technicians. With Homee On Demand, property managers can access a massive network of property maintenance professionals who have the right tools, experience, and licenses required for jobs. HOMEE runs a background check on every pro in the network, so you don’t have to worry about hiring someone without the right qualifications. Documenting Every Job Down to the Minute. Homee On Demand logs every job request for later review—including the time of the request, when it was approved, which “Homee” accepted the job, when they arrived at the jobsite, and what supplies they used or purchased for the repair/maintenance. Before and after photos of the job can also be taken to further demonstrate what was done and why. Improving Communications with Renters. Property managers can allow renters to make maintenance requests in the Homee On Demand platform. These requests are forwarded to the property manager, who can set a “not to exceed” cost limit to the job before sending it to the HOMEE network. If a job request is rejected, the property manager can send a message detailing the reason why, or asking for further clarification about the issue. If accepted, the property manager can let the renter know that a Homee is on the way, and that the job’s progress can be tracked from their computer or phone. 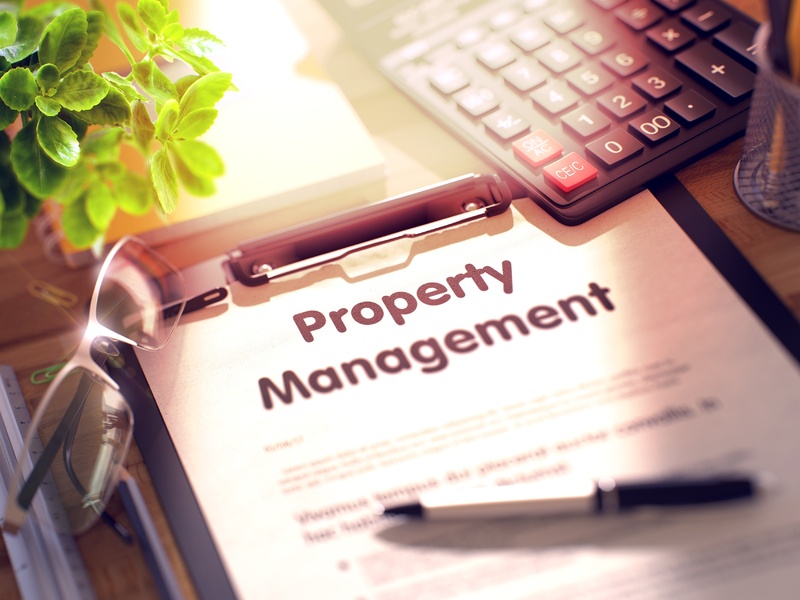 As a property manager, having the ability to document every job, allow renters to easily request property maintenance work, and supply access to thousands of licensed and vetted professionals are all valuable tools for regulatory compliance. Want to learn more about how you can use Homee On Demand to improve your property management business? Contact us so we can have a conversation!